BART WALKER is an award-winning Nashville guitar slinger, singer, song writer and currently lead guitar player for T. Graham Brown, Mike Farris & the Fortunate Few, and Hank Williams Jr.
A prodigy guitar player since the age of four, Bart has brought his sultry, rootsy, deep grooves as right-hand guitar man to country-rocker Bo Bice. He’s collaborated in the studio with such heavyweights as Steve Gorman (Black Crowes), Audley Freed (Cry of Love, Black Crowes) and Robert Kearns (Cry of Love, Lynyrd Skynyrd). He's played with Stevie Ray Vaughan's original back-up band Double Trouble and was joined in his own touring band by Double Trouble keyboarder Reese Wynans. Bart has toured all over the US, UK and Europe with The Bart Walker Band, Mike Farris and the Roseland Rhythm Revue, and Royal Southern Brotherhood. 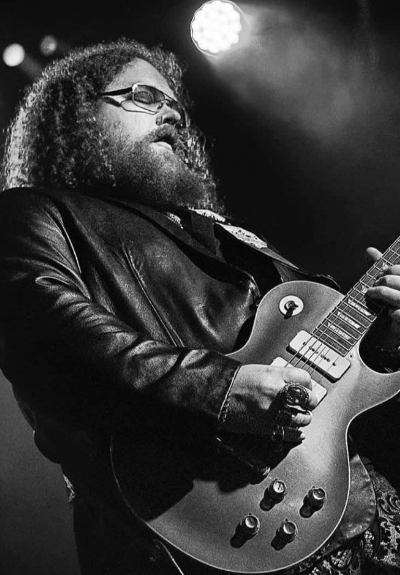 He has swapped licks live with people like Leeroy Parnell, Blues Traveler, Robert Randolph, Delbert McClinton, Marshal Tucker Band and many others.